Scariff Library Gallery, Co. Clare. The exhibition will run from Saturday 10th December – 31th December. Official opening by Dr James Hanrahan of Sligo IT on the 10th December at 12 o'clock. 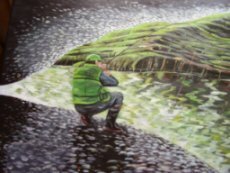 'River and Stream – Secret Places' is an exhibition of Clare native John Murphy. John is a native of New-market-on-Fergus and is now living in Co Galway. He has worked as an archaeological illustrator and his work has been widely published. He has exhibited in Germany and Clare in the past. John is a keen angler and conservationist. The Clare waterways have inspired these paintings, highlighting the beauty and potential of our natural resources in Clare and beyond. For this exhibition he has used acrylic on Canvas. All are welcome during usual library opening hours. John would like to thank Scarriff library and Clare Arts office for the facilitation of this exhibition. Saturday, November 26th from 3 – 5p.m. Come celebrate Clare crafts with ‘Draíocht’, an exhibition that weaves the magic of mosaic and slate works by two Dublin artists who have relocated to Clare and have been inspired by the county in their artwork. Clare has been working with mosaic for over ten years and runs many workshops in this and other disciplines at her studio in Ennis. She has a background in teaching and imparts her knowledge in a very calm easy manner – thus giving her students the confidence to explore their creative side without feeling overwhelmed. Clare has done many Corporate as well as private Commissions. Among commissions that Clare has recently undertaken is a commemorative piece for Inch National School on their 150th Birthday – and in doing so created a piece of history in itself by the virtue of the fact that each child in the school was invited to place a piece of tesserae on the mosaic under her supervision. She has exhibited in many venues in the West and also in Dublin with the infamous ‘Woods at work ‘ Annual exhibition. Clare has recently launched her own website showing recent work and details of future events and workshops. She can be contacted at 087-2389521 or www.Clarescraftycreations.com. Ever since she was a child, Morgan Nic Iomhair has had a deep love for the wild natural landscape of the West of Ireland. As an artist she takes her inspiration from this magical landscape and from the ancient legends of Celtic Ireland. With her slate Morgan hopes that the buyers will bring a little of this magic into their homes, workplaces or any place where they can rest their eyes for a few calming moments and ponder the secrets of the Celtic Realms. Each piece is handcrafted with care in County Clare using a process of layering paints, inks, varnishes and copper onto slate. Slate is a natural product with surface irregularities that form part of its natural beauty. Draíocht hopes to cast a spell over all who visit and will show some of the very best craftworkers in County Clare. In an age of mass consumerism and mass production, visitors to ‘Draíocht’ will be treated to works lovingly produced by hand in County Clare. This is a wonderful opportunity to support local artists and craftworkers in the run up to Christmas. D James Galbraith was one of the most celebrated American photographers of the 20th century. Accolades included a Pulitzer Prize nomination for his work on documenting Hartland, a small town in Michigan; his work has also featured in a series of 50-year retrospective exhibitions held in museums, libraries and arts centres across America. Born in 1930, Galbraith began his career as a photographer for the US Air Force; later he worked for newspapers in Ann Arbor, Michigan as well as for other Michigan newspapers. 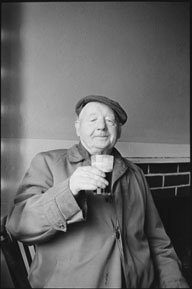 This exhibition of D James Galbraith features a selection of photographs from the National Library and captures various aspects of Irish life. Part of the collection, which includes twelve identified images from Clare and a small selection of unidentified images, will be held in the gallery space at Scariff Public Library from November 1st-December 3rd, 2011. One outstanding feature of Galbraith’s approach to photography and portraiture was the way in which he consistently tried to capture the spirit and humanity of his subjects; his images reflect the close ties that link individuals to the land, to family, to friends, and the community. We are in a constant state of flux: who we were is not who we are, and who we are is not who we will be. This dynamic aspect of the human condition exists in a space parallel to a photograph’s inherent paradox: an image of the past creating an emotional response in the present with the ability to influence the future. The works by the six photographers in this exhibition embrace this paradox while capturing the personal and intimate in the familiar and often overlooked. Niamh Hickey exhibits new paintings of her series of paintings entitled “Oman on my Mind” in the County Museum. Niamh grew up in Co. Clare, and spent her holidays on the Loop Head peninsula. “It was a far cry from the dry sands of the Middle East”, says Niamh. “However it is this different-looking landscape which has inspired me to this set of paintings, in particular, the beautiful country of Oman”. Between 1996 and 2007, Niamh lived in Dubai, in the United Arab Emirates, and during this time she made many trips across the border into Oman, driving through the mountains and down along the coast to Muscat and beyond. Oman was the Arabia she had always wanted to see, from the diverse landscape to the unique architecture. This body of paintings reflects those journeys and her many memories of her time living in the Middle East. “I was constantly inspired by the architecture of the region; old buildings, Bedouin sandstone forts, Arabic souqs, wind towers, minarets and Islamic domed mosques, set against the turquoise waters of the Arabian Gulf. These shapes and lines, the studded and carved wooden doors, the cut-stone windows casting perfect geometric-patterned shadows, all silhouetted in sharp relief against the bright blue skies, have been swirling around in my head for many years”, says Niamh. And she continues “the muted colours and textures of the stone and wood combined with the vivid colours of the sea and sky have inspired my palette. I have tried to combine my many memories of this wonderful country, the sights and sounds, into these paintings, and to evoke a sense of the aged structures that dominate the landscape”. 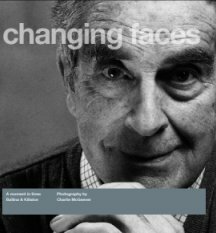 Changing Faces, an exhibition of photography by Charlie McGeever runs in the Gallery at Scariff Library until Friday July 1st,2011. Changing Faces is an artist led project funded by the Arts Office of North Tipperary County Council which explores through the lens of the artist, the visual fabric of a small town on the border of Tipperary and Clare and celebrates its diversity through an exhibition of portraits of local people capturing the essence of life in the Ballina/Killaloe area. In these remarkable portraits, the artist Charlie McGeever presents a moment in time in the history of Ballina/Killaloe. He has captured the diversity of life, the quiet contributors, the service providers, those working the land, each making their mark and re-asserting the importance for a diverse and unique society. Speaking about the background to the project, Charlie states that he became fascinated with the multi-layered make-up of the town of Ballina/Killaloe and observed on a daily basis, the mixture of old and new, physically represented by an ever-changing landscape and the ecletic mix of outlooks and values held by the people living there. Speaking of the exhibition, Charlie believes that these images represent a tiny moment in time in the lives of the people of Ballina/Killaloe, an area of constantly changing faces. Supported by North Tipperary County Council, The Arts Council and Clare County Council. The Tulla Stables Studios Complex was developed by Clare County Arts Office in response to the need for dedicated studio facilities for visual artists in County Clare. It was funded by the ACCESS programme of the Dept. of Arts, Sports & Tourism and by Clare County Council. It was officially opened in November 2007 and has served over 20 artists since this time. Participating artists in the exhibition are Ian Castle, Steph Gahan, Niamh Hickey, John Hanrahan, Melanie Jones, Mairin Kelly, Blaithin Lennon, Patrick McHugh, Kathleen Moroney and Katja Wittmer. The exhibition will be officially opened by Annette Moloney on Friday, June 10th at 7 p.m. The work presented in this show has evolved through a collaboration with Clare Women’s network based in Ennis, beginning in 2009. The large tableaux photographic images, while collaboratively constructed are inspired by real life events. Part of this project was initially presented as a series of posters, released daily with statistical information during the 16 Days International Campaign against Gender-Based Violence in November 2009. Subsequent research, supported by the Create Artist in the Community scheme has sought to focus on exploring how perceptions of safety and threat correlate with womens lived experience of both private and public spaces within the local community. While some of the works in this show are constructed or performed, others are inspired by over sixty individual interviews and are more documentary in nature. Part II of this body of work will be presented as a solo exhibition at the RHA Ashford Gallery in November 2011. Martina Cleary is a multi-media artist working with photography, video, drawing and text as her primary media. In Ireland she attended NCAD and The Crawford College of Art & Design, followed by post-graduate studies at The Academy of Fine Arts and The Alvar Aalto University, Helsinki. Beginning in the early 90’s, her work has been shown and collected in Ireland, Finland and Germany. Recent shows and awards have included; The Irish Arts Council Project Award 2010, the Create Artist in the Community Award 2010, the Roscommon Arts Office Art@Work Residency 2009, EV+A 2008 at Limerick City Gallery, Impressions 2008 All Ireland Print Show (First Prize) at Galway Arts Centre and ‘Things That Go Bump’ a solo show at Monster Truck Studio & Gallery, Dublin in 2008. Martina’s work deals with investigating what lies hidden beneath the surface of the everyday, particularly with respect to the construction of stories, histories and knowledges of place which inform the creation of individual and collective identity. Her work often brings together memories, associations and perceptions attached to particular sites, whether historical or contemporary to discover the relationship between place, power and the potential of the individual to affect change. Red Couch Space, Courthouse Gallery, Ennistymon, Co. Clare. William Glynn was born in Kilrush and brought up in Kilkee, Co.Clare. He spent most of his working life teaching in the UK. Returning to Ireland on retirement, his hobby photography, became a serious pursuit. He loves the stark beauty of the West Clare coastline with its ever changing sea and sky and abundance of wild life. Impressed by Cartier-Bresson’s idea of the significant moment he tries to capture these unrepeatable fleeting instants. Doreen Drennan is a traditional style artist specialising in landscapes, seascapes and gardens. She has been living and painting in Lisdoonvarna, Co. Clare for almost 25 years. She studied at the National College of Art in Dublin and was tutored under the direction of the late Henry Healy RHA. Having studied with a strong restricted palette she then progressed to develop her own technique when she moved to Co. Clare, where she was so influenced by the atmospheric skies, the moody landscapes and the wild Atlantic. Her preferred medium is oil on canvas and the palette knife features strongly in her paintings. Doreen draws her inspiration from the magnificent scenery which abounds all around her locality from the Cliffs of Moher to the fishing village of Doolin, the uniqueness of the Burren to the boats at Kinvara and on up to the wild exotic beauty of Achill Island where she was born. 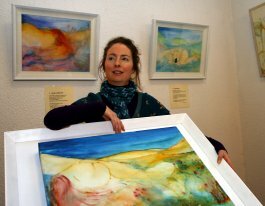 Her painting technique has been described as loose and fluid, using brush and knife to create the shapes and images, and her palette carefully chosen and mixed to portray the fleeting light and the misty and often dramatic colours of the West of Ireland. Her work has been selected for many private and corporate collections from Connemara to Chicago and Japan and can be found in many top galleries in Ireland. Her studio in Lisdoonvarna is open to visitors and because of the romantic element in many of her paintings her work is much sought after for weddings and anniversaries. Doreen had one of her paintings used as front cover of Maeve Binchy's book entitled "A week in Summer" in 2007. She also holds and Hons. Dip. in Interior Design from the Connaught College of Design. Isabelle Gaborit and Simon Large will open Collision, a collaborative show at the Scariff Library on Tuesday 5th April with a wine reception from 6.30 pm to 8 pm, all welcome. The exhibition will run until Friday 29th April. Large creates texts to accompany the paintings that make the words as vital as the images. The poems are not an understanding of the respective paintings, but a reflection, a response to their vibes. He has responded to some works that already existed, reflecting, completing and extending. In some cases the image and words existed side by side, while in some instances, the text was written, and then incorporated into the visual work as it was being made; text blending with image rather than existing beside it. Gaborit explores liminality and threshold. Anthropologist Victor Turner has described it as ‘a place that is not a place and a time that is not a time’. In her work she is exploring this threshold place, this space in between space, neither here nor there, a space of transformation between phases of separation and re-incorporation, representing a marginal state or period of ambiguity. Gaborit’s paintings and the texts coexist, juxtapose blends that merge and emerge, knitting two worlds together. Resolution is not being sought but rather it is perceived as a vital process when working with opposing forces. The creative relationship between Isabelle Gaborit and Simon large started a year ago, when Simon commissioned Isabelle to provide drawings during an archaeological survey he was undertaking. It was during this period that they shared and discussed his poetry and other writing he had done, mainly for his own enjoyment. What followed was the concept of creating poetry and / or art that reflected – inspired each to the other. The poetry associated with this exhibition is his first public presentation. Isabelle Gaborit was born in La Rochelle in the south west of France but currently resides in Co. Galway. As a student she gained a foundation in sculpture, drawing and painting at l’ecole des beaux arts in Poitiers. Since 1993 she has been in Ireland playing an active part in the artistic community, where in 2006 she graduated with an honours degree in fine arts from GMIT, Galway. Since then she has been exhibiting her work extensively, among others: Enniskillen visual Arts Open; Samhlaiocht gallery, Tralee; Watergate Theatre Upstairs Gallery, Kilkenny; Gallery of the Central Academy of Fine Arts, Beijing, China; the Mill Theatre Gallery, Dublin and the Loft Gallery, Dublin 2.She is now a member of Artspace. Will O'Kane is an artist who focuses on figurative painting. Starting points for his work can come from his own photography, from found materials and images, from memory and also from direct observation. He has exhibited throughout Ireland and abroad and is currently based in Dublin. of Art, London. She has exhibited widely and has works in corporate, public and private collections. multi-media installation. The work examines themes of constriction and growth, sameness and difference and poses questions of perceptions and preconceptions of obsessive compulsive behaviour. Landscape Paintings by Seán Durack opened at the Gallery at Scariff Library, on Tuesday, March 1st, 2011. A large crowd gathered to view this stunning exhibition of new paintings, particularly appropriate to this time of year, as spring encourages us to look at local landscapes anew and afresh. Drawn to the places where man’s impact has been minimal, Seán’s landscapes are impressions of remote, uninhabited areas of upland and lakeshore that are reclaimed by nature. Ancient bog cuttings and abandoned harbours are now naturalised and beautiful features, recaptured by the giant rolling spaces of hilltops or enclosed by encroaching trees and water. The gallery at Scariff Library provides a wonderful opportunity to see the work of this highly regarded local painter. Seán was born in 1957 in Scariff and now lives in Mountshannon. He studied Art in NCAD in Dublin in the late seventies and has had solo exhibitions in Holland, Dublin, Galway, Limerick and Clare plus numerous group exhibitions. On finishing art college, Seán worked on the Lough Derg Holy Island archeological dig and restoration which led to a career in archeological illustrating in Cork and Waterford. Returning to landscape painting over the last 15 years, Seán’s most recent Solo exhibition was in The Snug, Mountshannon in 2008. He regularly shows in the Iniscealtra Arts Festivaland his work is held in collections in France, Holland, Germany, USA, Canada and throughout Ireland. The exhibition continues at the Gallery at Scariff Library until April 2nd, 2011. Opening reception on 18, Feb, 2011 at 7pm. Townlands is an exhibition of works made over the past two years by artists Alan Counihan and Gypsy Ray as part of the Townlands Project. Works to be shown at the Courthouse Gallery will include photographs, drawings, sculpture, installation and film all of which have grown out of creative interaction with the artists’ local landscape. 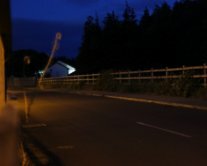 The Townlands Project (http://www.townlands.net) is an ongoing creative exploration of a rural landscape and community in north Kilkenny. It has involved the gathering of place and field names in nine parish townlands along with a series of oral history recordings. Engagement with the community has been wide-ranging resulting in a collaboration between Barnstorm Theatre Company and the local national school, an artist-in-residence-programme , a seminar and a short film, all based on the local landscape and its history. It is anticipated that a publication will follow in 2011-2012. Over the past twenty years Alan Counihan has realised many large site-specific works in the public domain and exhibited widely both in Ireland and the U.S.A. His work is in many public and private collections on both sides of the Atlantic. He has been the recipient of several grants and awards including the Pollock-Krasner Foundation Award. While perhaps best known for his object-based work his practice also incorporates photography, theatre, sound and texts. While resident in the USA, Gypsy Ray gained a national reputation for her social documentary photography especially for work focused on the issues of HIV/AIDS and its impact on specific communities. 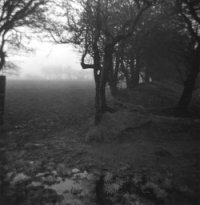 Here in Ireland she has continued her creative engagement with place and people using both photography and drawing and was recently awarded a Kilkenny County Bursary for her initial work with the County Kilkenny Traveller Community. Her drawings are a regular feature in the RHA annual exhibition. A book of landscape imagery, "The Poetry of Place" was published in 2007. For more information see: http://www.townlands.net & http://www.alancounihan.net. Launch of two new Artists Books and an exhibition of related work by Vicky Lennie in the Red Couch Space of the Courthouse Gallery in Ennistymon from 18th February- 17th March 2011. The exhibition will include original sketchbooks, paintings and ephemera, as well as the books themselves. Vicky Lennie was born and raised in Edinburgh and studied at the Glasgow School of Art, graduating in 1993. She moved to the west of Ireland in 1996, and helped to establish the Doolin Artists group who held several successful exhibitions. Vicky now works from her studio at the Blue Frog Café and Arts Venue, Ennistymon, Co. Clare, where she also teaches life drawing and programmes arts events and exhibitions for the venue. She has exhibited in various Irish galleries and Arts Centres, including the Belltable Arts Centre in Limerick and the Dept. of Arts, Heritage, Gaeltacht and the Islands in Dublin. Clodagh Kelly in from Ennis, Co. Clare. She has been involved in the Performing and Visual Arts for over 15 years. Starting off in Dance and Theatre, she has choreographed and performed various projects in Cork & Dublin. She studied for a BA Arts degree at NUI Galway and Performing Arts at the Institute of the Arts Arnhem, The Netherlands where she started drawing and painting along with her choreographic work. She has previously exhibited in Clare, Cork & Dublin. 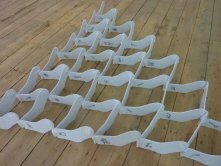 She has had three solo exhibitions at successive October Arts in Ennis in 2000, 2001 and 2002/2003. She had an exhibition in the Cottage Bar, Galway 2008 and De Valera Library, 2009. 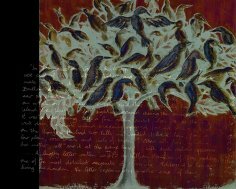 Her exhibition entitled 'Awakening & Surrender' came about in response to the work of poet & philosopher, John O Donohue author of Anam Cara. 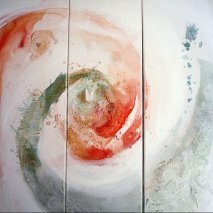 Clodagh's primary motivation as an Artist is to use painting to attain presence in the moment and to share and delight in what that presence might bring – insights, ideas, questions, answers, relief, awakening, surrender. She uses poetry to record the process and map the journey of discovery. 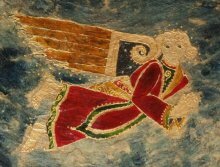 An extraordinary exhibition of paintings inspired by Middle Eastern travels takes place in the Gallery at Scariff Library from February 12th – 26th, 2011. Niamh Hickey, from Clarecastle, has been working on these paintings for her fist solo exhibition, since her return from Dubai in 2011. Niamh graduated from the Limerick School of Art and Design in 1996, with a degree in Ceramic Design, and a love for all things textural and tactile. Since then she has been teaching art and design and facilitating workshops for over fifteen years, teaching art in two International Schools in Dubai until she returned to Ireland in 2007. Niamh developed a love for a type of windswept and wild landscape, full of old buildings, cottages and sheds during childhood summers in West Clare, near Loop Head. This interest in local landscapes and architecture was further developed in the sunny climes of Dubai in the United Arab Emirates . During the 11 years spent living there, Niamh made many trips across the border into Oman, driving through the mountains and down along the coast to Muscat and beyond. Oman was the Arabia she had always wanted to see, poor in some material ways and hugely rich in others, including the diverse landscape and unique architecture. This body of paintings reflects those journeys and her many memories of her time living in the Middle East. 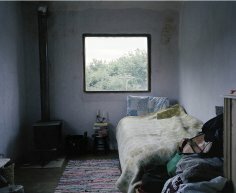 The images are also derived from the extensive photography Niamh undertook to document her travels and inform her work.
' Oman on my Mind' is Niamh Hickey’s first exhibition since returning to Ireland in 2007, and her first solo exhibition. It will be opened in the Gallery at Scariff Library on Saturday, February 12th at 2 p.m. by Siobhán Mulcahy, County Arts Officer. The educational aspect of the show will feature talks and workshops by some exhibiting artists and by the architect responsible for the renovation the Courthouse Gallery. These talks are aimed at Leaving Certificate students in Art, Craft and Design. The architect's talk will also be relevant for Construction Studies students. Of course these are public talks and all are welcome to attend. One workshop will be run by two 2nd year Art college students, who will talk on portfolio preparation and their own artistic practice. There will be detailed educational notes and worksheets available to take away, compiled by Mary Fahy, the art teacher responsible for the show. These handouts are specifically designed for the Art History section of the course. Exhibition runs until Thur 9th Feb 2011. All work is for sale, with the 25% commission raising funds for the Art Dept. in Scoil Mhuire. Entry is free. All welcome. Gallery is open from 12-4pm Tue - Sat. Ph: 065 7071630 for details or for booking a group visit. Thanks to Kathryn, Trudi Dara and Chrissie at the Courthouse for all their support and belief in making this project possible. It couldn’t have happened without the support of our Parents Association in Scoil Mhuire who sparked the idea for the project. Thanks to the staff and students of Scoil Mhuire for their kind support of this project. Sincere thanks to Siobhán Mulcahy of the Clare Arts Office and to Mary Hanly and Derek West of Creative Engagement for their generous support of the show and its educational resource material. Thanks to John O'Reilly for renovating such a beautiful Art Gallery for North Clare and agreeing to give a presentation on his work. Thanks also to Marie Connole, Branwen Kavanagh and Myriam Riand for facilitating workshops. It is wonderful for us to gain an insight into your work processes. Your talks are hugely informative for our budding art students who may be hoping to go on to art college in the future. Thanks to the exhibiting artists, who have made this exhibition possible, and sincere thanks and appreciation to all those who submitted work for the show. We just didn't have the space to show it all. I hope you will continue to enjoy making art and never give up on your dreams. 2011 begins with a creative medley of poetry and paintings in Scariff Library with a poetry reading by Mary Kennelly, accompanied by an exhibition of paintings by Brenda Fitzmaurice. Brenda Fitzmaurice and Mary Kennelly have known each other for more years than either of them would care to remember or to admit. Over the years they have been aware of and admirers of each other’s work. They worked together on a number of occasions for the Brendan Kennelly Summer FestivalIn 2005, Brenda held a solo exhibition in the Limerick County Gallery. The exhibition was inspired by the Shannon river estuary and by the landscapes that are washed by it. In response to the paintings, Mary wrote a poem on the same theme and dedicated it to Brenda. Brenda used the poem on her exhibition invitations. The idea to collaborate grew from this time, but like a fine wine took a little while to mature. They began working on ‘From the Stones’ in 2008. They drew their inspiration from the places and people of their shared surroundings. They chose the title ‘From the Stones’ to reflect the extent to which they are products of the nurturing landscape in which they live. This work is an open love letter to their place yet within its pages are found resonances of the cultural legacies and daily concerns of people far beyond their place. 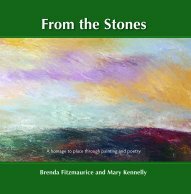 Mary Kennelly will read from her work at the launch of ‘From the Stones’ on Tuesday, January 11th at 7p.m. in Scariff Library and all are very welcome to attend this reading which will coincide with the opening of Brenda Fitzmaurice’s exhibition of the same name. The exhibition will continue until February 4th, 2010. Mary is a Special Education Needs teacher in Presentation Secondary School, Listowel, Co.Kerry and lives in Glin, Co. Limerick with her husband and three children. She grew up in Ballylongford, Co.Kerry and has worked for a number of arts organisations including Writers’ Week. Her first book ‘ Sunny Spells’ was released in 2004 and was well received. Brenda lives in Moyvane near Listowel, in Co. Kerry. She worked as a teacher for twenty five years. Painting has always been a passion for her. Since retiring from teaching, she has studied at the Institute of Art Design and Technology (IADT), Dun Laoghaire. She now paints fulltime and pieces of her artwork hang in many private collections. 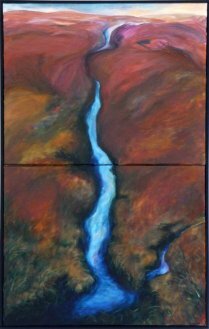 Primarily a landscape artist, she participates in a number of annual group exhibitions. She has collaborated with poets and writers on book covers and illustrations for the text. Brenda also does commission work. The 4th Clare Art Christmas Show takes place in the Foyer of the County Museum from December 13th – January 8th, 2011. Organised by local artist David O’Rourke, the show features a number of invited local artists including Tommy Kelly, photographer, James Halley, a sketch artist, performance artist Alex Conway and painters Austin Creavan, Marie Connole, Anna Colmer, Kevin Quinlan, Sinead Slattery, Catriona Sheedy, Hazel Gilcrest, Dereck Smyth as well as David O’Rourke himself. The wide variety of styles and media ensure that once again an eclectic exhibition will be on show. Due to the nature of the space artists are showing smaller scale works which have the advantage of being affordable. People have the opportunity to buy directly from the individual artists, who have priced their work to be within everybody’s means. The exhibition offers a good opportunity for the public to support Clare artists directly. The exhibition is open daily to the general public and an opening reception will take place from 2 – 5pm on Saturday December 18th and all are invited. John Michael Davies was educated at St. Martin’s School of Art London and worked with Unilever as a Graphic Designer. Currently living in Killaloe, poetry and paintings are amongst his interests. For further information please contact: John M Davies at 087-6342961 or contact the Arts Office at 065-6899091. Opening Friday, 26th November at 7pm. The Courthouse Gallery, Ennistymon will host an exciting Christmas show of Clare artists opening this Friday 26th November. “has been + is going” features an astonishingly diverse range of work that ‘has been’ exhibited or ‘is going’ to be exhibited in the near future. “Trasna”, an exhibition of postcard-sized works by well-known artists will run in conjunction with the Christmas show. This is a first for the Courthouse Gallery who have been delighted with the response from national and international artists. In celebration of this unique exhibition all works will be at a reserve price of €40. This is a wonderful opportunity for locals to purchase original artworks as gifts for loved ones in the upcoming festive season. To encourage all of the communities in North Clare to share in this fun event there will be a wine reception and a humourous auction to be enjoyed on the opening night, Friday, 26th November at 8pm . Members of the public are invited to come early and place bids on their favourite pieces before the auction begins at 8pm. The Courthouse Gallery welcomes you to these exciting events which seek to celebrate artists work in the Community of Ennistymon, Co Clare, and beyond.